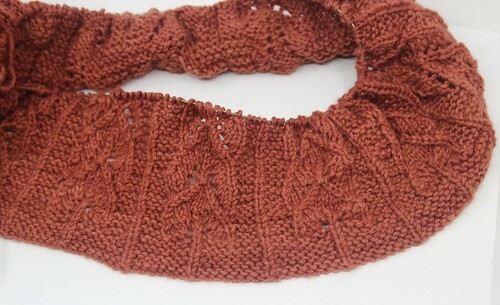 This week I’m finishing up my Lowbrow Cowl. This is a photo from a few days ago. At this point I’m on the edging, just a few rows from bind off. So now I’m starting to mull over my options for my next project. I should pick up one of my WIPs, but I’m so tempted to cast on for something new. Last night I pulled out a skein of Miss Babs Yowza that has been marinating in my stash since I went to Maryland Sheep & Wool in 2014. 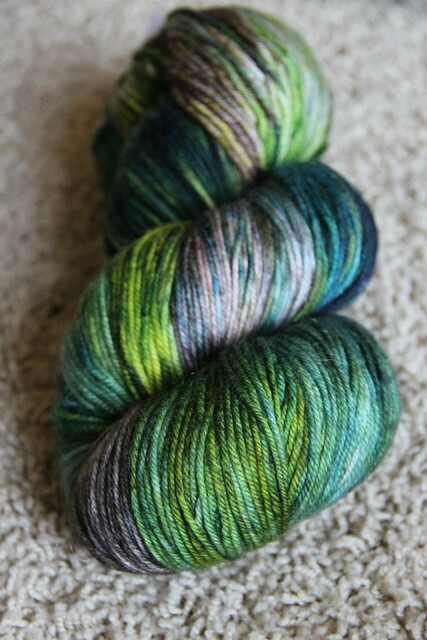 The plan is to turn this yummy skein into a sweater for Miles’ 2nd birthday this year. Right now I’m torn between Flax by Tin Can Knits and Simon and Simona by Elena Nodel. I’m leaning towards the latter. If this doesn’t seem like a lot of knitting for this week, I can assure you there’s more, but I have a secret project for now. I’ll share that one after I finish and it has been given to the recipient! Previous Episode 173: Frogs in the creek.